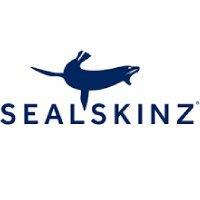 SealSkinz legendary waterproof socks have just got better, thanks to their Hydrostop barrier to stop water seeping in through the top. 'Thin' means these socks are less bulky than, say, SealSkinz MTB Mid Mid Socks. These socks measure 2/5 on the SealSkinz thermal index. 'Mid' means they come up to mid calf length. Guaranteed waterproof, windproof and breathable. 90% Nylon, 10% Elastane outer layer. 100% waterproof hydrophilic membrane mid layer. Cosy, comfortable 35% Merino Wool, 33% Acrylic, 28% Polyester, 3% Elastane, 1%TPU liner. Hydrostop silicone-free elastic taping provides a barrier to water ingress. StretchDry technology - the waterproof membrane is a stretch material for weather protection without the bulk. Merino wool lining for moisture control & comfort.